In 2018, scientists rode the activist momentum of 2017 to step out of the lab and into the public sphere: There was an unprecedented surge of candidates from STEM fields making a go at the US midterm elections, activists held a second March for Science, and there were so many developments in the #MeToo movement by victims and advocates speaking out to effect change in the scientific community that we dedicated a separate end-of-year review to those news reports. Universities and research funders have dug in their heels as far as demanding lower prices and more open-access opportunities from scholarly publishers. In July, for instance, hundreds of academic institutions in Germany and Sweden let their contracts with Elsevier expire as negotiations hit a standstill. In the US, universities are just as steadfast. The University of California system is prepared to drop Elsevier if it can’t reach an agreement with the publisher by the end of the year. Cost is a big issue, but libraries are also pushing to expand open access. Funders are likewise adding pressure. This year, a group of them announced Plan S, an initiative that aims to do away with paywalls. “This is the nature of publicly funded research—it should be a global public good that can be utilized by anyone,” John-Arne Røttingen, chief executive of the Research Council of Norway and a co-leader of the task force to implement Plan S, told The Scientist this month. The open-access movement is not universally popular among scientists—in fact, many fear it could make publishing papers prohibitively expensive. The debate will continue to unfold throughout 2019 as Plan S ramps up for implementation in 2020. In July, scientists announced that they had uncovered the earliest evidence of terrestrial life on Earth. “This work represents the oldest and least ambiguous work that we have so far that life existed on land already 3.2 billion years ago,” Kurt Konhauser, a professor of earth and atmospheric sciences at the University of Alberta in Canada who was not involved in the work, wrote in an email to The Scientist. 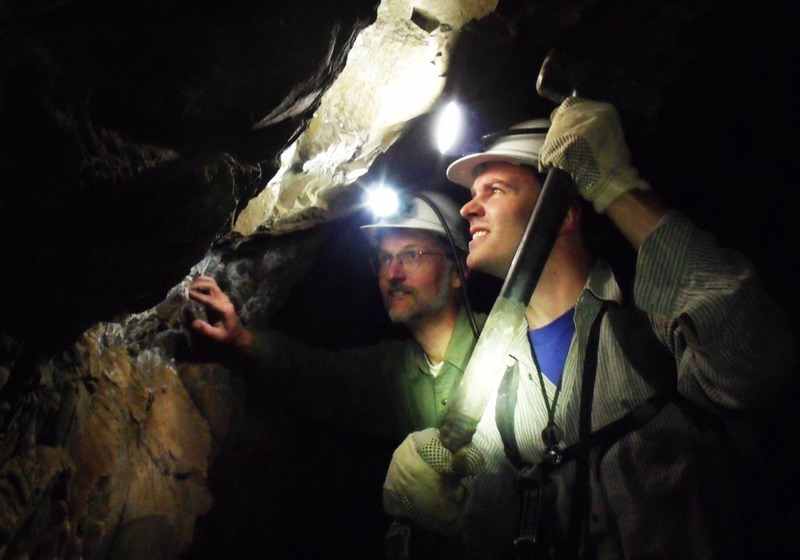 The authors found signs of ancient microbes in rocks from the Barberton Greenstone Belt in South Africa. Their discovery pegs the start of life on land 500 million years earlier than previously estimated. It’s never too late to overturn biological dogma, it seems. A study published in PNAS in December reported that 17 people from three unrelated families carry mitochondrial DNA that has been passed down through a paternal line—bucking the largely held belief that mtDNA only comes from moms. “My first instinct was that this was a mistake—even though I’ve never, in six years, seen our diagnostics lab make a mistake like this,” Taosheng Huang, a pediatrician and medical geneticist who heads the Mitochondrial Diseases Program at the Cincinnati Children’s Hospital Medical Center, told The Scientist about first seeing the data from one of his patients. It’s uncertain how common the phenomenon is, and why it occurs, but it’s sure to call into question a number of studies, including those that have attempted to determine ancestral lineage using mtDNA. Democratic Republic of Congo has been dealing with a relentless outbreak of Ebola that has killed a confirmed 172 people as of November, according to the World Health Organization. Eradication has been hampered by conflict and some people’s reluctance to follow orders from health care workers. On the other hand, clinicians have had a vaccine and new, experimental therapies to deploy. A clinical trial now underway in DRC is comparing the efficacy of four such medicines: one antiviral drug and three antibody therapies. The US National Institute of Allergy and Infectious Diseases (NIAID) developed one of the antibody therapies from a patient who survived an Ebola outbreak in 1995. “It’s a monoclonal antibody directed against the specific component of the Ebola virus, very much similar to the kind of thing that you give passive transfer of antibodies for other types of infections. It blocks the binding of the Ebola virus to the target cells in the body,” NIAID director Anthony Fauci told The Scientist. A Phase 1 trial at the NIH showed that the therapy is safe—the real-world deployment in Africa will now demonstrate if it’s effective. 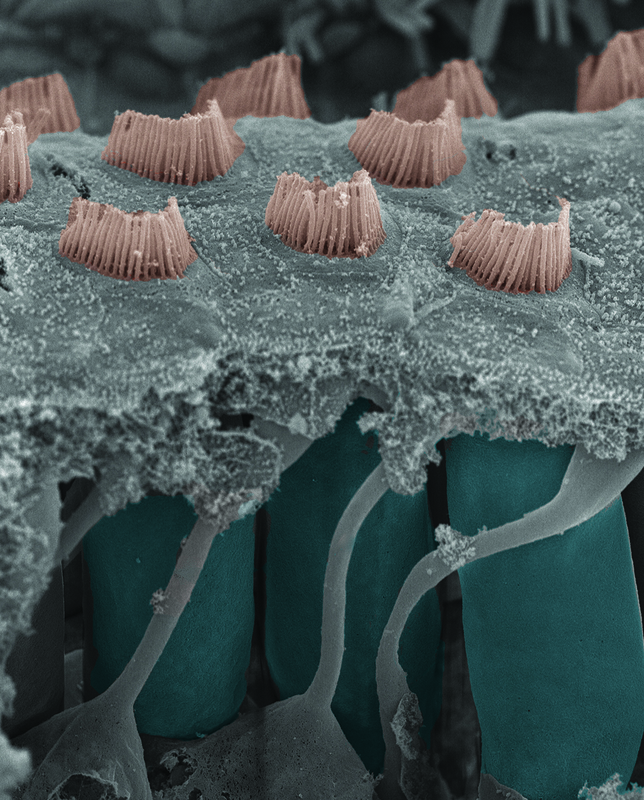 It’s been four decades in the making, but this year scientists settled on the identity of the channel that converts the mechanical wiggling of the inner ear’s hair cells into electrical signals for the brain: transmembrane channel-like protein 1 (TMC1). The researchers had made genetically engineered mice carrying one of 17 different mutations in the sequence for TMC1’s gene, and found that interfering with the structure of the resulting mutant proteins altered the current flowing through hair cells. Arguably, the announcement in November that a scientist had edited the genomes of two embryos, now twin infants, to prevent HIV infection grabbed the most attention this year as far as the technique’s use in humans goes. And not for the right reasons—the researcher is under investigation for violating ethics rules and the scientific community is up in arms about the technology’s reckless use. In fact, several experts in the field described to The Scientist the extent of the flaws in the actual protocol. But there was also responsible progress in the application of gene editing to treat disease. For instance, two patients in a pioneering trial of zinc-finger nucleases applied in vivo showed promising signs in a biomarker related to their disease, Hunter syndrome. However, levels of the enzyme targeted by the gene therapy hadn’t changed, so it remains to be seen whether the intervention is indeed effective. A growing number of clinical trials are using CRISPR to enable gene therapies, including cancer immunotherapies and treatments for blood disorders. More are likely to come down the pipeline as scientists continue to show benefits from applying CRISPR to animal models of human disease. 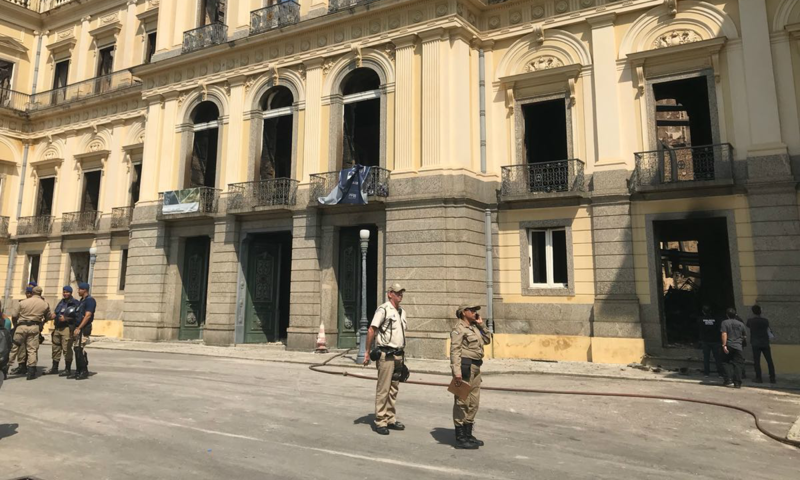 In early September, the Museu Nacional of Rio de Janeiro in Brazil went up in flames, incinerating priceless natural history collections. Among the institution’s 20 million items were dinosaur bones, early human remains, and numerous invertebrate specimens. The disaster elicited heroic attempts by scientists to save the museum. Paulo Buckup, who studies fish evolution and biodiversity there, recounted how he and other staff ran into the dark building as it was burning to recover shellfish specimens, including some that are representatives of extinct species. “Our job now is to find room in the annex buildings to relocate our colleagues who have lost everything in the fire,” Buckup told The Scientist at the time. Scientists blamed the fire on aging infrastructure and a lack of funding to keep the building maintained. For years, scientists have been going back and forth in the literature about the existence of stem cells in the heart. If they are there, and have the capacity to regenerate new heart muscle, they could serve to repair cardiac tissue after damage. But studies keep challenging cardiac stem cells’ existence, with two more published this fall. In April, researchers reported “undeniable evidence” disputing the existence of cardiac stem cells. They tracked the fate of cells in mouse hearts and found no non-muscle cells that give rise to new muscle in adult rodents. In December, another team searched for cardiac stem cells among damaged mouse hearts and again could find no sign of them. Fanning the flames of skepticism, an investigation by Harvard Medical School this year produced a damning report about misconduct in the lab of one of the leading proponents of the cardiac stem cell idea, Piero Anversa. Since then, 13 of the group’s papers have been retracted. A disastrous bloom of algae swept along the Florida coast this year, killing countless animals in its wake, including turtles, fish, and dolphins. The so-called red tide kicked research into combatting the bloom into high gear. Scientists are investigating methods such as spraying clay particles into the water to knock down the algae, deploying pathogens, and injecting ozone into seawater. Another idea is to prevent runoff carrying nutrients—which some scientists believe is fueling the bloom—from reaching the ocean, rather than attempting to kill the algae. “Anything you do to kill red tides you’ll kill other things as well,” Larry Brand, a marine biologist at the University of Miami, told The Scientist this summer. More cutting-edge clinical trials launched this year are harnessing the ability of induced pluripotent stem cells to be reprogrammed into bespoke, potentially therapeutic cell transplants. In October, clinicians transplanted precursors to dopamine-producing neurons, derived from iPSCs, into the brain of a patient with Parkinson’s disease—the first time an iPSC-based intervention has been applied in the brain. A handful of other iPSC-derived therapies are also now in clinical trials, attempting to treat everything from graft-versus-host disease to macular degeneration. And scientists announced plans this year to use an iPSC-derived transplant to treat heart disease in a clinical trial set to begin in 2019.